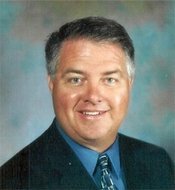 Larry Dugger became Superintendent of Pottsville Schools in 2006 after five years as high school principal. Mr. Dugger is a native of Batesville and a graduate of Arkansas Tech University where he received a Bachelors Degree in Education and a Specialist Degree in Educational Leadership. Mr. Dugger has over 20 years of educational experience. His wife Jan teaches first grade at Pottsville Elementary School. The Duggers have three sons.